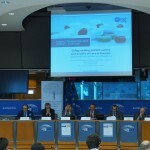 On 27 September 2016, the European Brain Council (EBC) co-organised the event “Safeguarding patient safety and quality of care in Europe: Good practice for off-label use of medicines”. 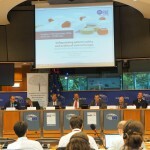 The event, which was hosted in the European Parliament by MEP Piernicola Pedicini, was attended by major European stakeholders in the area of off-label use of medicinal products, including patients, physicians, pharmacist and representatives of the EU Institutions. 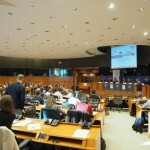 The event was successful in bringing attention of EU policy-makers on this important issue and gather different views on off-label use in Europe. 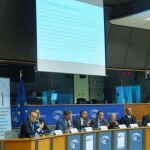 The event was also the first opportunity for Prof. Marc Dooms, hospital pharmacist at the University Hospitals of Leuven, to present the Declaration on Good Off-Label Use Practice, a collection of six criteria likely to ensure that off-label use is carried out safely and according to the medical needs of patients. 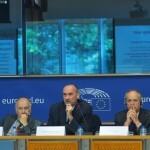 The Declaration was widely welcomed as a basis for discussion on the creation of a harmonized approach on the off-label use of medicines in Europe. Prof. 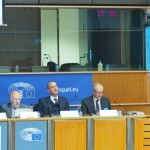 Guy Goodwin, Professor of Psychiatry at the University of Oxford and Immediate Past President of the European College of Neuropsychopharmacology, and Francois Houÿez, Director of Treatment Information and Access in EURORDIS, explained the opportunities and risks offered by the use of medicines off-label in psychiatry and rare diseases respectively. 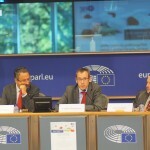 Mike Isles, Executive Director of the European Alliance for Access to Safe Medicines, spoke about the risks of the unregulated use of medicines off-label. “Incidents caused by the use of medicines off-label as a cheaper alternative to authorized drugs often result in additional costs for healthcare systems”, said Mr Isles, reminding that the European Parliament already recommended the adoption of European guidelines on this topic. “Governments should not promote the off-label use only for financial reasons, in order to reduce the cost of medicines“, said James Killick, Partner at White & Case LLP. “There are other ways for governments to do so without taking a dangerous shortcut in the medicines authorization process”, he added. 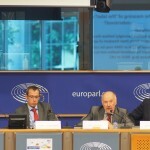 Finally, Dr Andrzej Rys, Director for Medical Products and Innovation at DG Santé, announced that a European Commission study on the issue will eventually be unveiled by the end of the year. The study in question used as a starting point to discuss with Member States the need for Commission’s action in this area. The event was a first step to raise awareness about this important issue and discuss the way forward with other EU stakeholders. 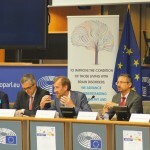 The European Brain Council, together with its partners supporting the Declaration on Good Off-Label Use Practice, is committed to continuing work and dialogue on the issue to protect the highest standard of care for European patients. The event recording is available here.